In the average hotel, we have the most common tea bags. Besides having a "tea" on it, it is hard to feel the taste of tea. 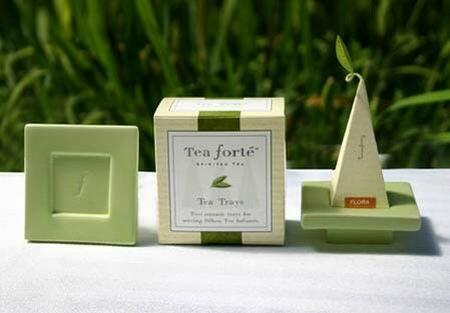 This Tea forte looks similar to our high-end tea packaging. But with a slight twist, you can discover the subtle ideas of the designer. The tea decoration on the top is made of plastic. It can be said to have a good mix of stirring. We have three different print methods you can choose from depending on the design of your artwork and the way you would like it displayed on your tubes. We are able to print with all three methods on one tube so do not feel like you have choose just one for your design. Offset Print: Up to 6 colors. Use of CMYK/4-Color Process. Gradient Screens are acceptable. Feels like the ink is impregnated on the tubes and takes on the finish you have chosen for your tubes. Silk Screen: Up to 3 colors. When you run your fingers over the art on the tube it is raised up and will always remain glossy, even on a matte finish tube. Hot Stamping of Foils: Up to 2 colors. Slight feel to the touch. Finish remains glossy with a metallic sheen. When it comes to health we don't take any chances. Tamper seals are available to protect your product. In addition GY Tube now also offers our very innovative tamper evident flip top cap which helps further guarantee the safety of your product. "GY tubes are worth your health"
In this fashion-driven market, the appearance of your packaging takes precedence. With our high-end equipment GY's abilities in the decoration of your packaging is endless. Your attractive packaging will appeal to even the hard to please consumer. "GY tubes has got you covered"
Plastic tubes have become widely used for the Toothpaste Industries. Our high quality 5 layer, barrier coated co-extruded tubes have out-performed laminate tubes in the stability testing of aggressive ingredients found in Toothpastes such as fluoride. "GY tubes will definitely make you smile"
Our body is our self image and we take great care to maintain it by using only the best of products for our skin and hair. To make certain that your product stands out among the others let Vista help you design the most eye-catching packaging on the store shelves. "GY tubes is hair for you"
We understands the importance of hygiene, when it comes to the packaging of your food. Our facility is FDA approved and all our tubes are produced in accordance with their requirements. We ensure proper sanitary conditions throughout production. "GY tubes are fit to eat"
Even the industrial industry has found their way into tubes. Products such as lube are increasingly being packaged in plastic tubes which allows for clean and accurate usage. Precision application can also be enhanced with our unique long nozzle twist cap. "GY tubes- A job well done"
2)The material of our products is completely pure and brand new which is environmental friendly. 3)Panton Colors for tube body and cap are acceptable. 4)Welcome to Figure&Color proofing which will take around 7days. 5)Customized packing method is welcome.We usually pack tubes and caps separately. 6)We can pre-seal the tube tail,Tin sealed the tube head,screw the cap on the tube as your requirements.